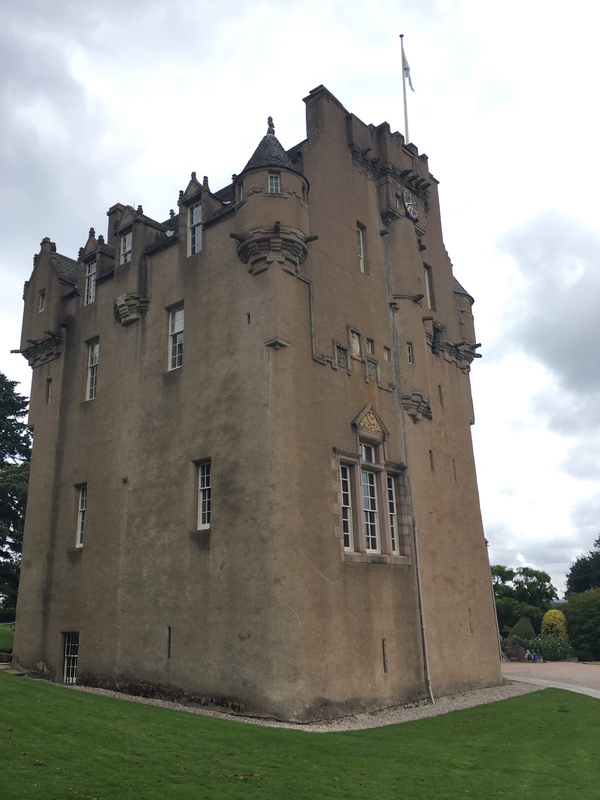 We took Susie to Crathes Castle today and I forgot how terrific it is. 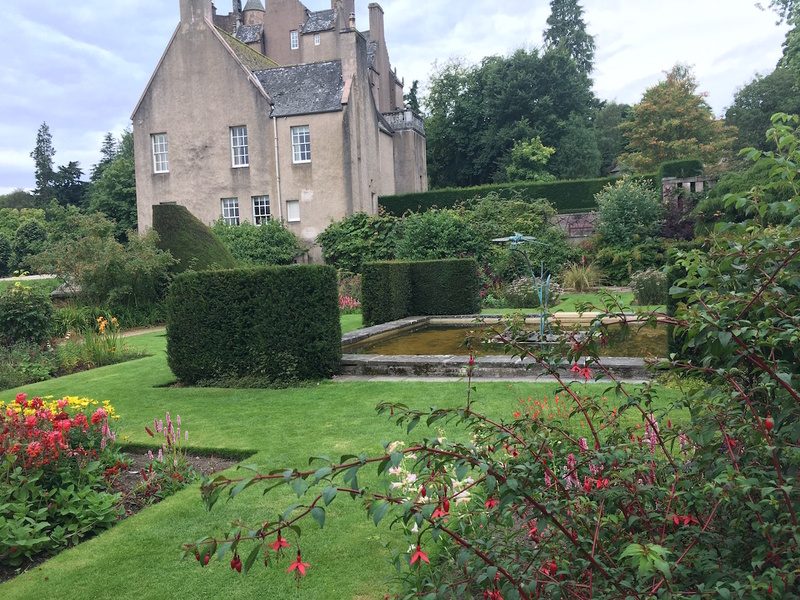 I love Crathes Castle! 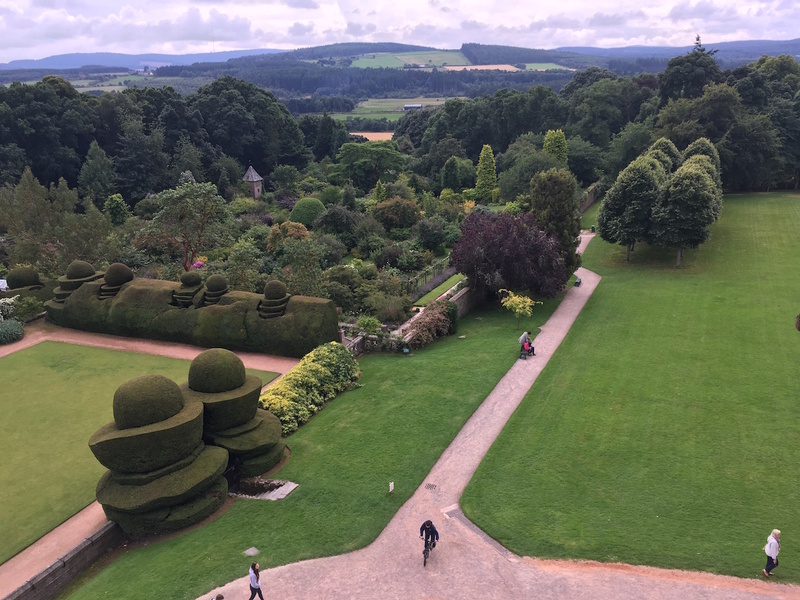 The castle is awesome, the gardens are probably the best castle gardens I’ve seen, the cafe is excellent and has an adjoining children’s playground, and Go Ape have a presence there. 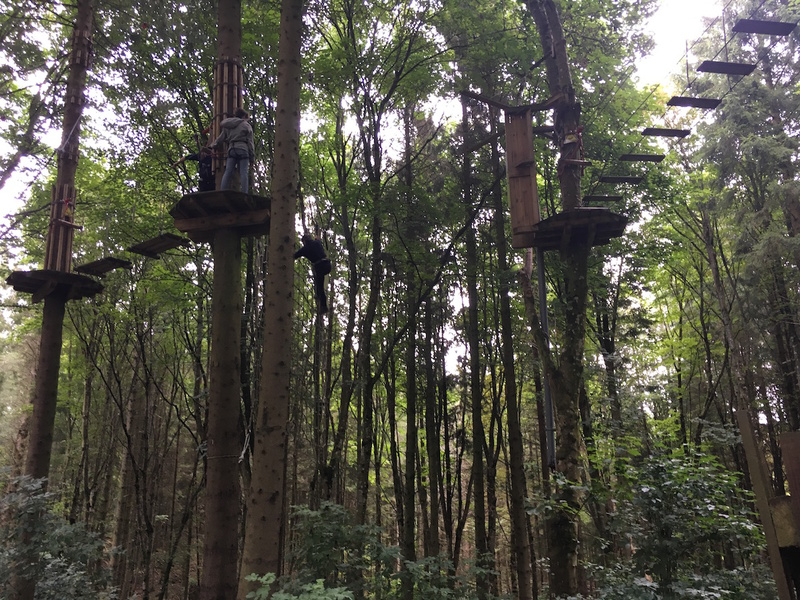 We have never played at Go Ape before, partly because it’s only for ages 10 and up and our kids are still too young. We’d have to go without the kids and I’m not sure when we’ll be able to do that. 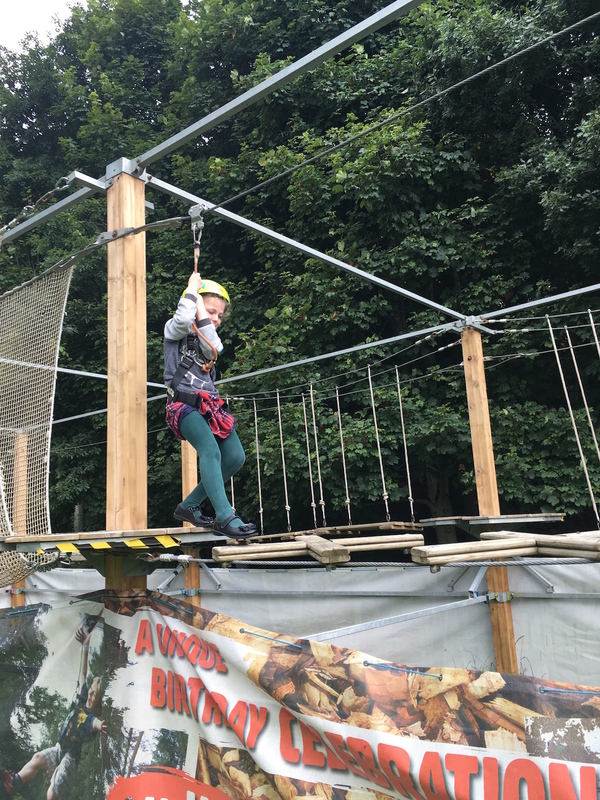 But this summer there’s a children’s version of Go Ape at Crathes which Daniel and Elizabeth both tried and loved. They both told us they want to go and do it again. 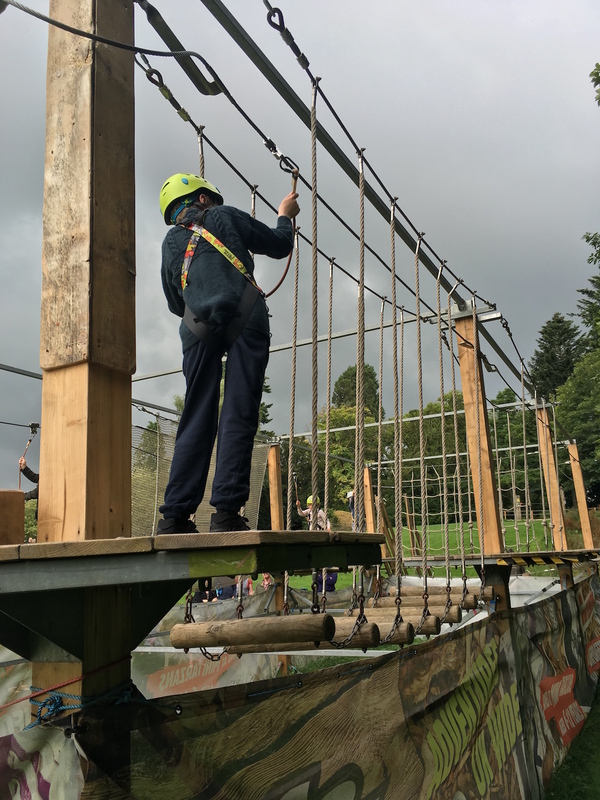 The adult’s course is much longer and particularly wonderful because it’s in the middle of a forest, high up in the tree tops. Crathes castle is haunted by the Green Lady. We didn’t see her but the lights did mysteriously go off when we were in the room where her remains were discovered. I guess someone was playing with the switch but I didn’t see anyone. Here’s the castle from the outside. The view from the top. I’m not sure why my camera made the sky purple but I haven’t edited this photo. I never edit my photos. 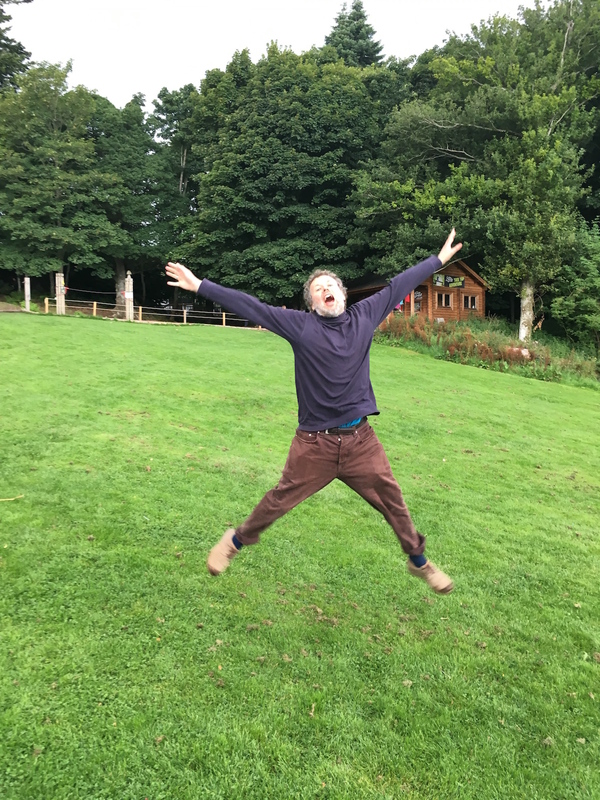 I showed Ben how to do a jumping photo. And his turned out better than mine. 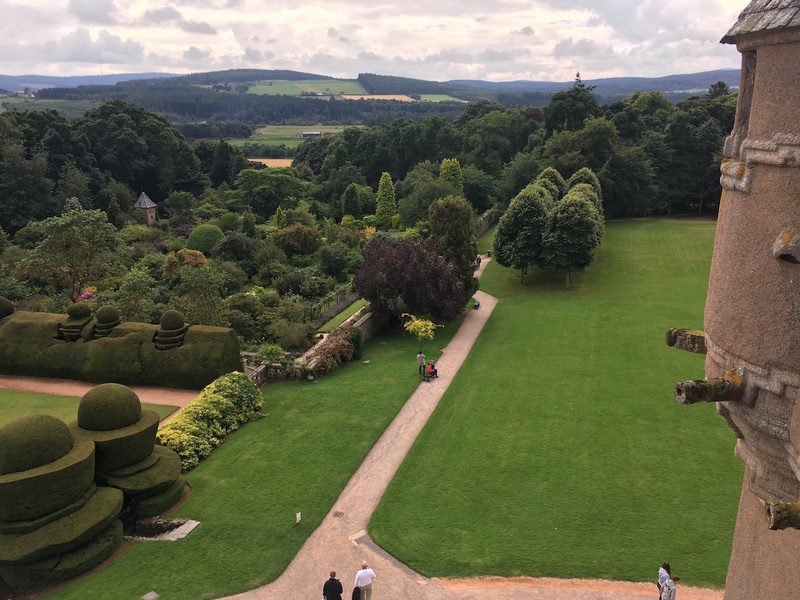 Posted in Journal and tagged Aberdeenshire, adventure, castle, Crathes, gardens, Go Ape, Scotland. Bookmark the permalink. Luuuv the topiary! And, it’s sooo green. Envious. The hedges are amazing. There are several around the castle grounds and they’re all really well done. The trick to getting a jumping video. Or the perfect moment on a trampoline. (or anything in motion) Is to video it.. then screen grab the best still when you pause it.. Lessons learnt from 12 year old daughter…. oh yes, you’re right. And I can do that with my phone – I forgot!